You don’t have to have everyone over all at once. Keeping the guest list small means buying less food and spending less money for each party. Plan the menu around ingredients that you already have at home and you’ll have a smaller shopping list. You really don’t have to go all-out to give everyone a great time. Think “less is more,” and stick to just a few simple, quality, inexpensive ingredients. Another great idea is serve one big main dish and make that the focus of the meal- lasagna, mac and cheese, or roast chicken with veggies are all good low-budget options. This way your guests won’t be starving for dinner. Deviled eggs, veggies and dip, soup shooters, bruschetta, or crostini are all delicious but inexpensive hors d’oeuvres. Asking everyone to bring a dish is a great way to keep costs down, but if you don’t want to go that way you can just ask for extras like wine, dessert, or side dishes, while you supply most of the food yourself. 6. Don’t limit yourself to dinner. Try a weekend brunch for a fun and relaxing get-together. Serve eggs or bagels and spreads for significant savings over a dinner. 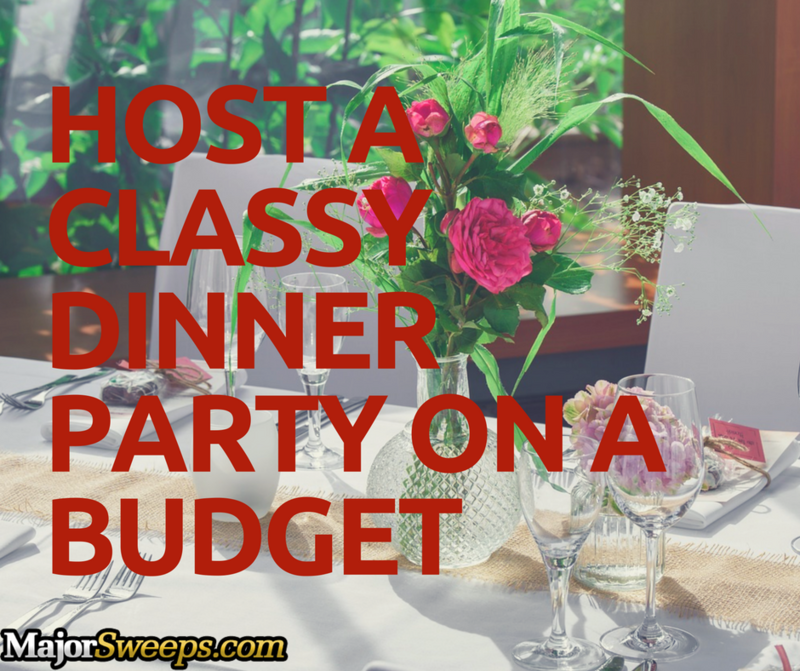 Or host a dessert party! Who doesn’t love dessert- and it’s still cheaper than dinner. Store them well and you’ll have food for the next few days. They can be washed and reused, helping your wallet and the environment. You don’t have to go out and buy a set of fine china, or spend the money on disposables. Matching is boring anyway, so borrow from friends or buy some pieces at garage and estate sales and mix it up for an interesting and eclectic looking table. 10. Set out small bunches of flowers. No need for fancy flowers. You can buy just a couple of inexpensive bouquets at the supermarket and get creative. Use tea cups, Mason jars, wine bottles, or anything you can think of to hold a few stems and spread throughout the table. Lighting always helps set the mood at a party, and tea lights and other candles are an easy and frugal way to create some ambience. You might also cut back a few pennies on your electric bill! If you’re into decorating this is a practical resource with lots of great stuff. Really, a party is mostly about the company, isn’t it? Well, yes, but you don’t want your guests to leave hungry either. 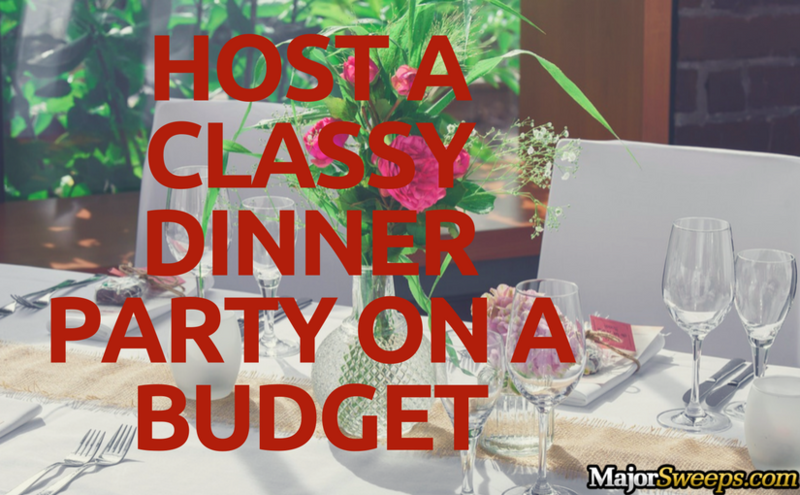 Use these tips and you’ll be throwing the best dinner parties in town, without throwing out your money!